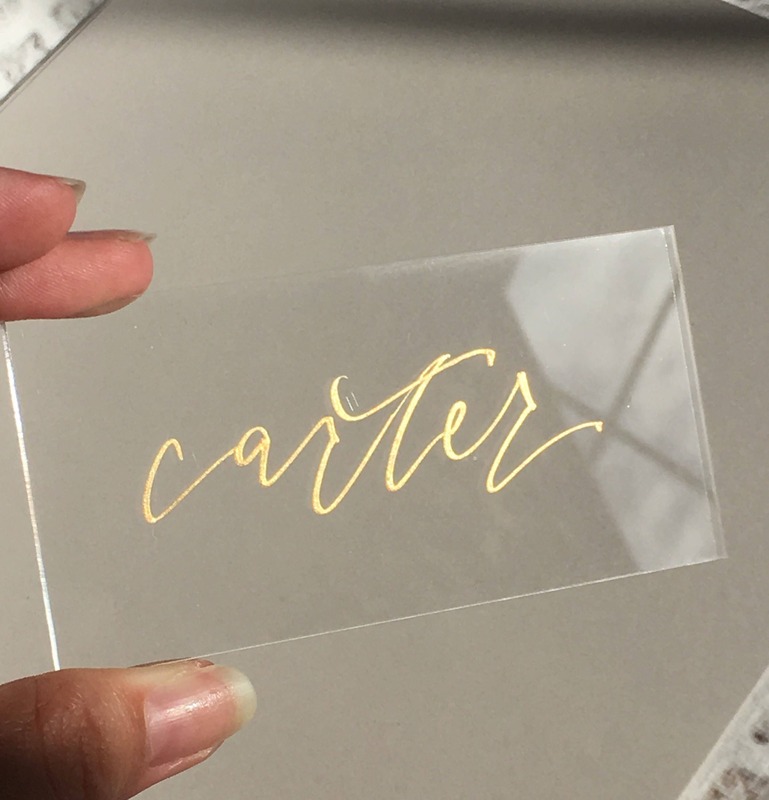 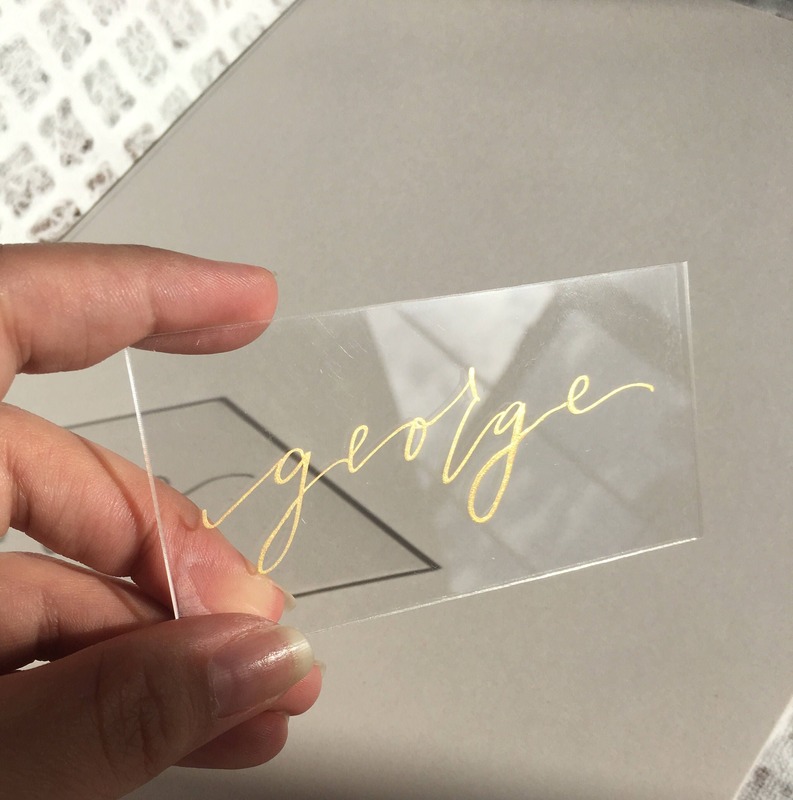 These clear acrylic place cards are the perfect addition to your modern romantic wedding. 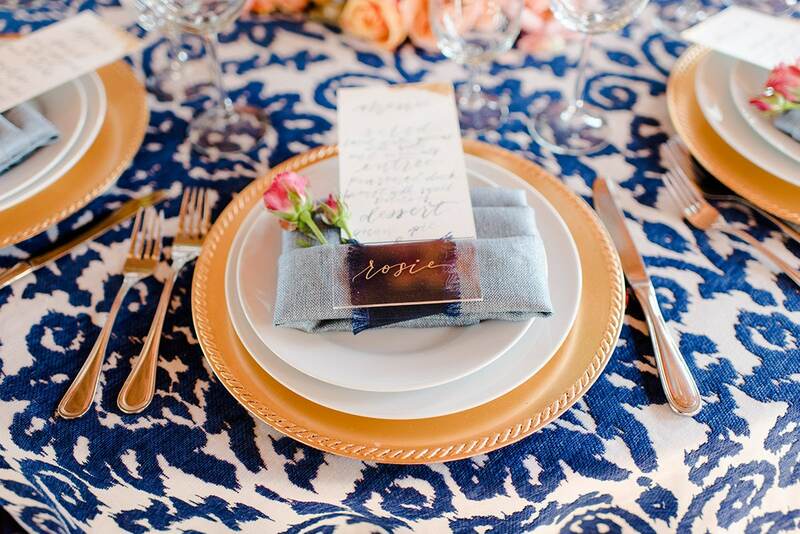 They're a beautiful finishing touch to your tablescape! 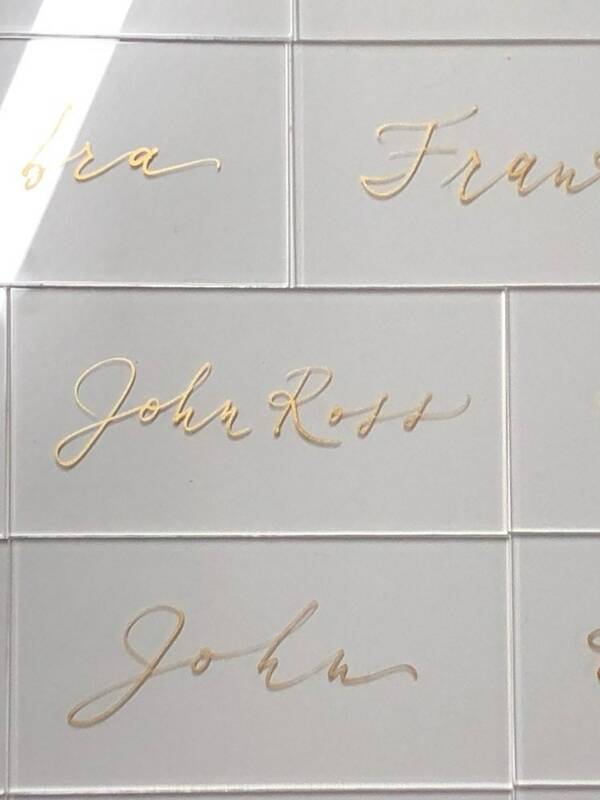 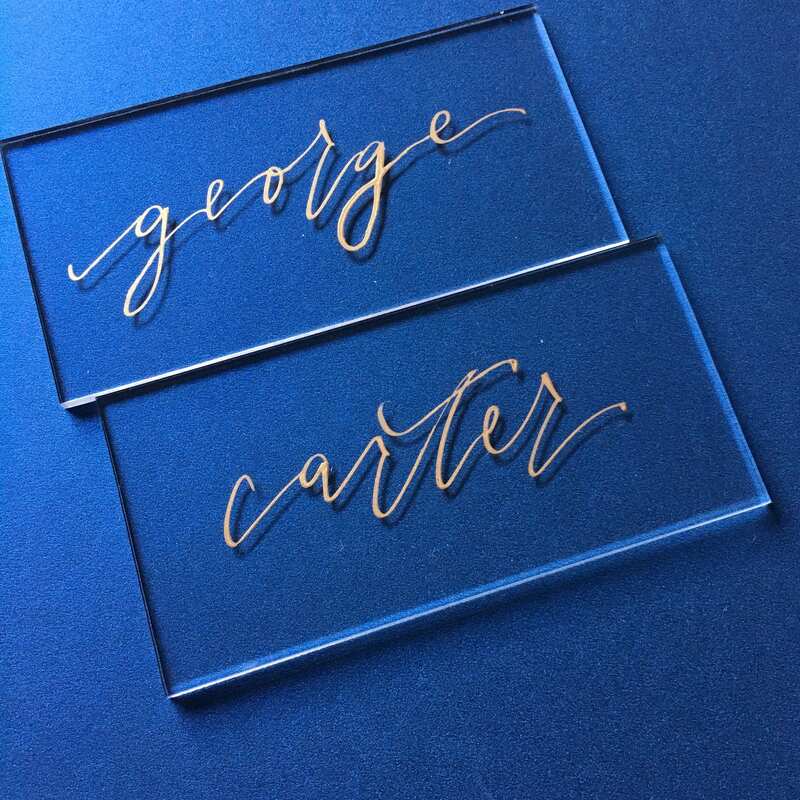 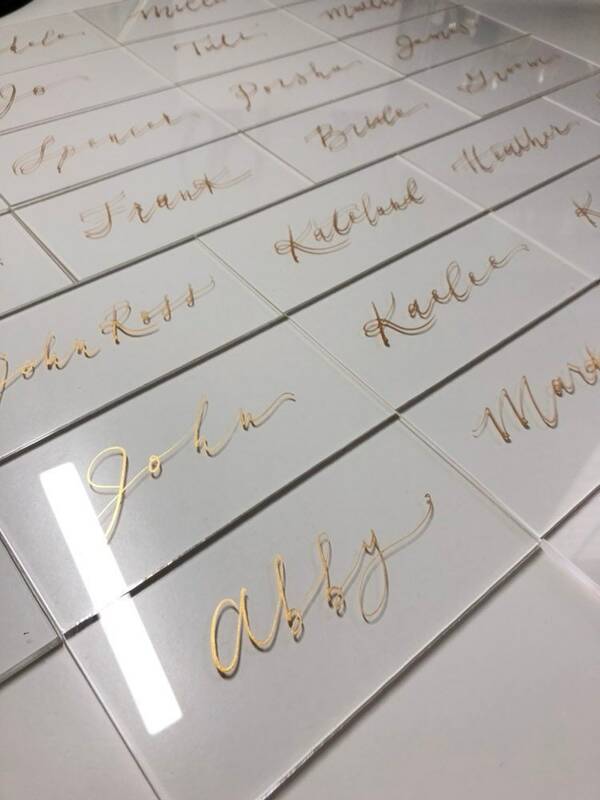 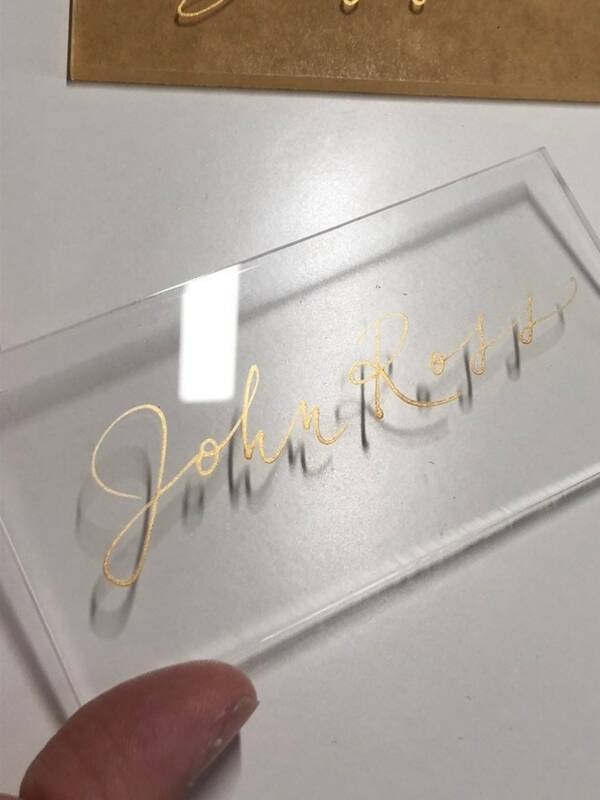 Each piece of acrylic will have guest names written in hand-crafted calligraphy in your choice of gold or copper ink. 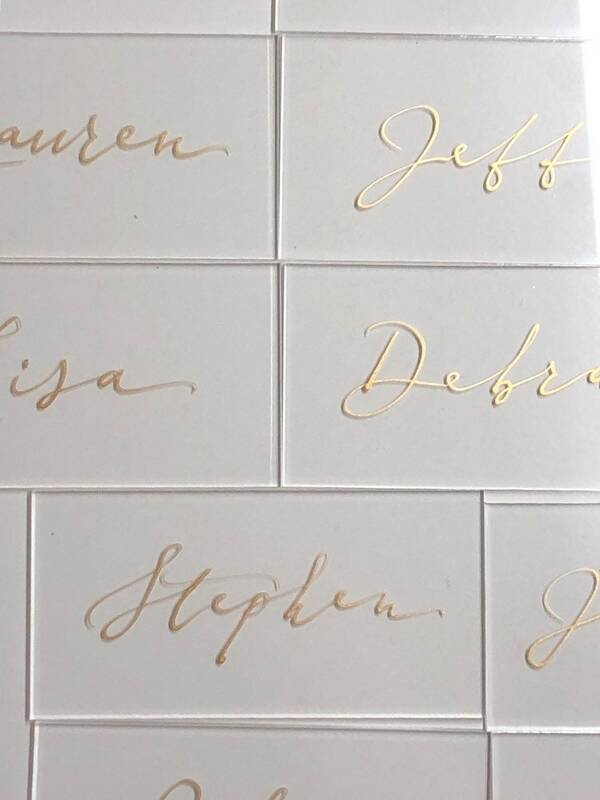 Each acrylic place card measures 2"x4". 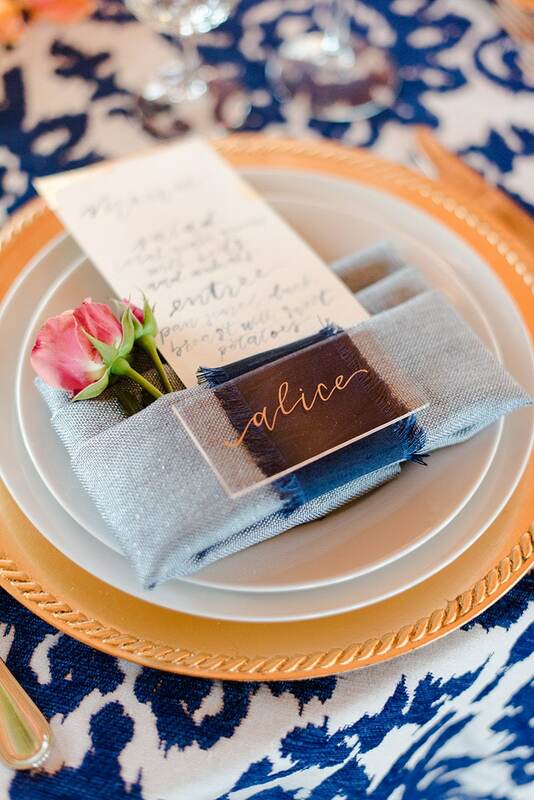 Additional ink colors are available to match your wedding vision!